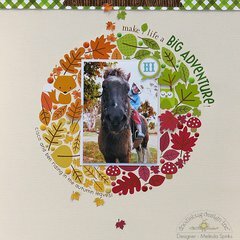 Embellish layouts, cards, and other projects with Tangerine Enamel Dots from the Sprinkles Collection by Doodlebug Design. 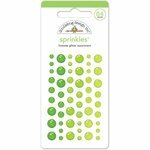 These colorful enamel dots are self-adhesive. 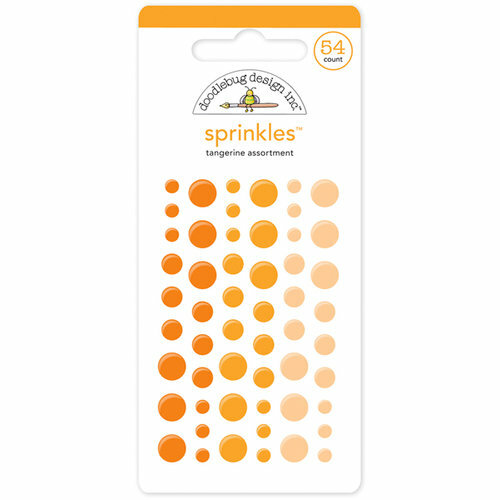 There are 45 enamel dots in the package in three sizes and three shades of tangerine. 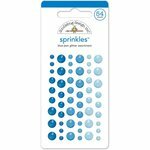 These enamel dots are a great addition to my supply of embellishments. I've used them and am very happy with the quality of the product and the delightful result. These are awesome. I love using them in clusters with other embellishments. 1) These dots are awfully expensive for the price. 2) The colors shown on product sites are inaccurate. They are much more coral in tone, and the far right pale peach color is not at all that pale in person. I can live with that because I like oranges, but it's worth a heads-up. 3) Other than that, they're exactly what I expect from enamel dots.